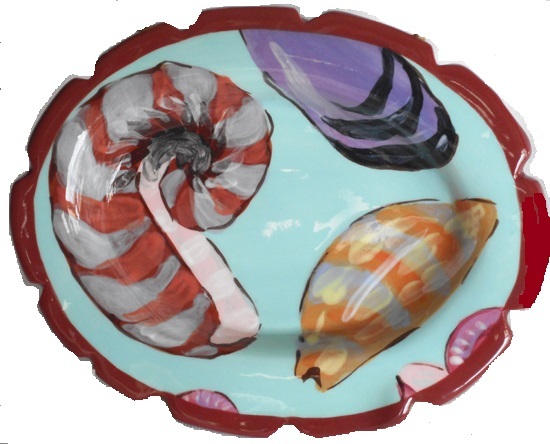 Summer Shells/Soap Dish- 6"x 5" wide, 1" tall. Click on photo to enlarge. Add a touch of beauty to your kitchen or bath! And by adding a scented soap can also make it a wonderful gift to that special someone. Allow 4-6 weeks delivery.